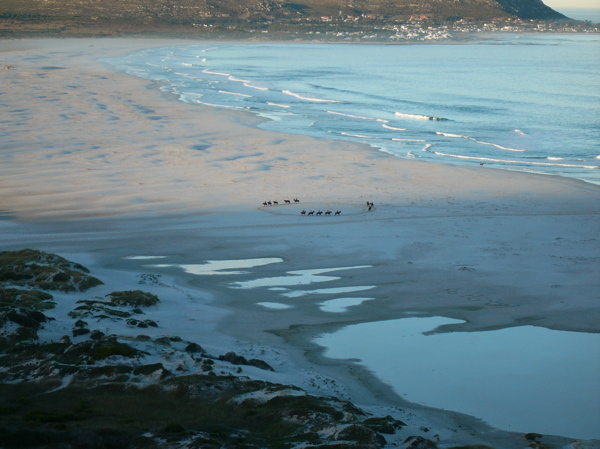 Noordhoek Beach is best viewed from Chapmans Peak drive as you can see the immense size of the beach from this high vantage point. The beach is very popular with walkers, horse riders and of courses surfers. There is a well known ship wreck on the beach, called the Kakapo. It can be found towards the left hand side of the beach as you look out to sea. In the 1900’s the ship headed straight into the beach as the skipper thought he had already rounded Cape Point.